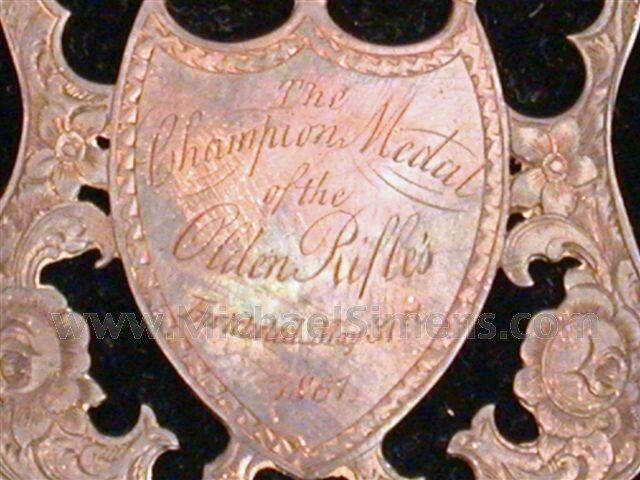 This is a lovely patriotic Civil War period medal made of coin silver presented to the top marksman of the Olden Rifles in 1861. 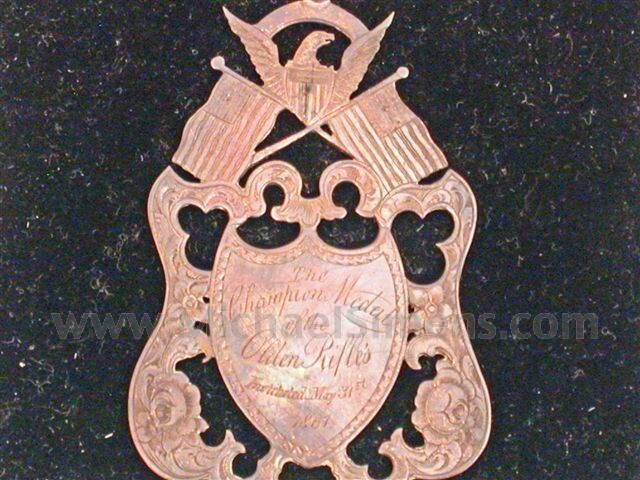 The Olden Rifles were from Lawrence, New Jersey and were formed May 31, 1861 after Lincoln's call for 75,000 troops. They were named after Governor Olden of New Jersey. 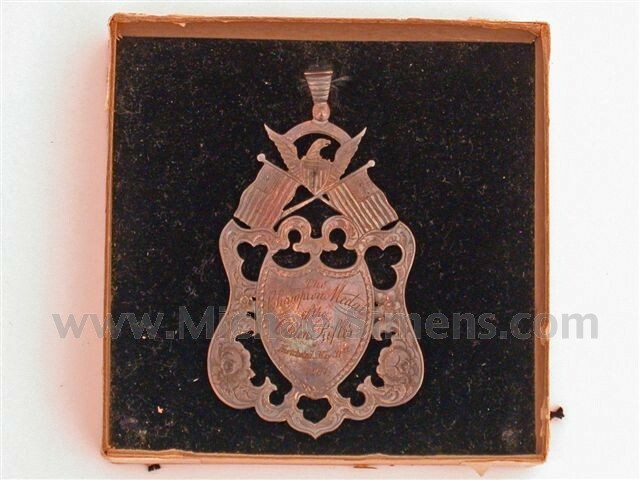 Further research is needed on this medal as the recipient could be of some importance. Recipient of the medal remains unknown.